Congratulations to our 2018 playday CT members! 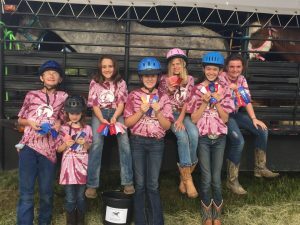 They finished out the Keller Saddle Club season strong. FCRA riders sweeped over half of the awards in PeeWee, Junior, and Intermediate age divisions! The playday team will be competing in playdays March-August 2019 at Keller Arena next to the baseball fields off Golden Triangle and 377. Our barrel racing team will be competing at local races in Alvarado, Decatur, Azle, Cleburne, and Boyd. We love to have a cheering section! Ask your instructor for details to come out and watch the next race! Full Circle Riding Academy is excited to announce the formation of our Competition and Junior Competition Teams! This opportunity is offered as an introduction/preparatory course for purchasing a horse, joining the high school rodeo team, or furthering your skills in the barrel racing and playday arena. Team member will have the opportunity to compete at local playdays and barrel races on our lesson horses or to compete on their own horse as a member of our riding team. CT and JCT members will be held to the highest standards as they will be looked up to by our current students and the general public. 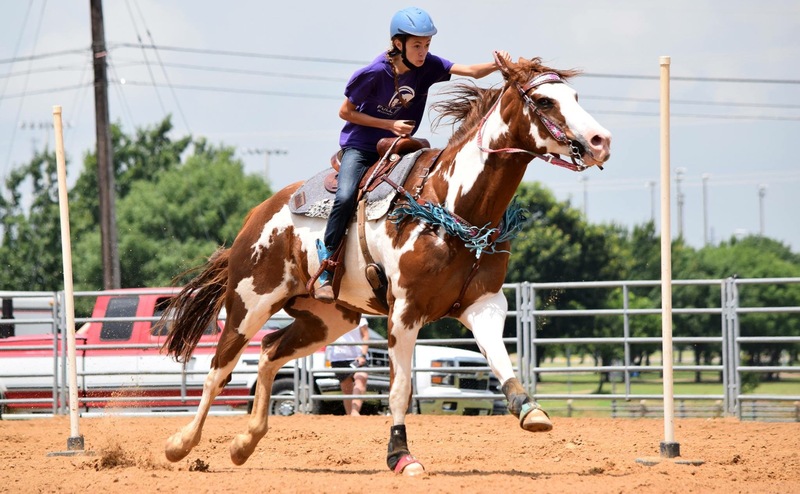 There will be try-outs held every other month starting in April and students will be judged on their riding abilities and horsemanship skills. It will not be easy to make the competition teams, so pull on your big-kid boots and let’s get to work! Each month the playday competition team will travel to Keller Arena on the 2nd Saturday for a playday (these typically last from 9am-late afternoon/early evening). Students must arrive one hour before we leave for the playday and will be required to stay for one hour after we return to the barn. Students will be responsible for getting their horse and tack ready, caring for their horse before, during, and after the playday, and for packing the correct clothes and a lunch. Members should be prepared for a 7am-5pm type of day! 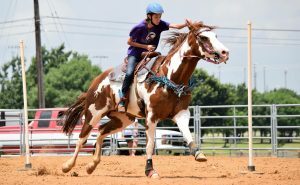 Each month the barrel racing competition team will travel to a local arena to compete against youth in their age group. We typically run with the Barrel Racing Association of Texas (BRAT) and also follow a few of the National Barrel Horse Association (NBHA) races. These dates can be found on the BRAT and NBHA websites for the 2018-2019 year. Some months there will be an extra competition offered for a local barrel race. The same rules apply for arriving at the barn one hour prior to leaving and staying one hour after we return to the barn. These additional races carry an additional charge and are optional.